Food makers want the Senate to pass a bill that would make labeling voluntary and supersede state-level laws. There’s no doubt about it: The food industry is counting on you to be distracted at this busy time of year, what with all those visions of sugarplums, etc., as it tries to make a stealth end run to quash any effort to require the labeling of foods that contain genetically modified ingredients. That presumes, of course, that you want food made with GMOs to be labeled, but the odds are pretty heavy that you do: After all, just last week yet another poll confirmed that a whopping nine out of 10 Americans think the federal government should come up with a GMO label and require food makers to use it. But rather than heed the will of the vast majority of Americans—what do you think this is, a democracy?—the House last summer passed what critics have dubbed the Deny Americans the Right to Know (DARK) Act, which would effectively override any state-level program to require GMO products be labeled, and instead make the labeling of GMO ingredients entirely optional for food makers. Now, the food lobby is trying to strong-arm the Senate into passing the bill and sending it to the president before the end of the year. Even more galling, anti-labeling forces want to bury their provision in a huge must-pass spending bill, The Associated Press reports. The ins and outs of the fight can get confusing, not least because the official name of the DARK Act is, perversely, the Safe and Accurate Food Labeling Act. Basically, the food industry wants to upend efforts to force it to label foods made from genetically modified ingredients, and its allies on Capitol Hill have been eager to oblige. While pro-labeling advocates are fighting for a mandatory label that would clearly warn consumers of the presence of GMOs, food makers are busy lobbying to make GMO labeling strictly voluntary and to establish a federal program for the labeling of foods free of GMOs. Got that? Instead of a pro-consumer label, what we could end up with is a snazzy, taxpayer-subsidized marketing gimmick that allows corporations to tout whichever product they decide would sell better with a GMO-free sticker on the package. And that, friends, is how the GMO Grinch is trying to steal Christmas. From Food Revolution Network CEO Ocean Robbins: We can’t let Big Food hold our national budget hostage. If you’re in the US, please pick up your phone NOW and dial 1-877-796-1949 and ask to be connected with the Senators from your state. Tell them you OPPOSE efforts to sneak a GMO labeling rider into the omnibus bill, or any other bill. PLUS: LIGHT UP THE WHITE HOUSE PHONES NOW! 202-456-1111 Tell the White House there is no place in the Omnibus for any “DARK Act” policy riders that would pre-empt or delay state efforts to label GMOs. 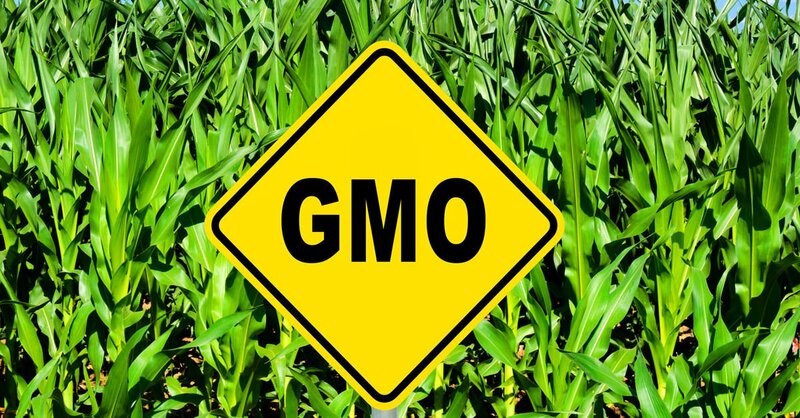 Americans need and deserve a mandatory, on package GMO labeling law. Then if you have time, please also call Leadership and say the same thing. Politeness matters. Please be polite but firm in this last battle in 2015. Image from www.right2knowmarch.org on Flickr under a Creative Commons license.